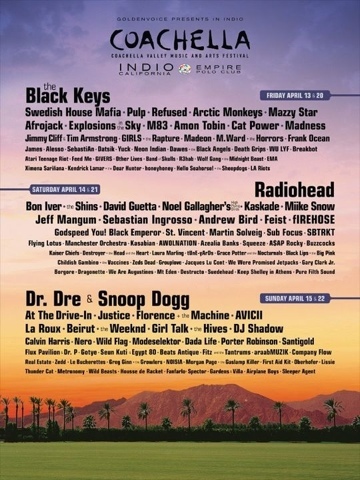 Coachella 2012 is coming soon. Two weekends in April- April 13-15 and April 20-22. Indio, CA. The line-up is pretty good, with Kaskade to Avicii. Check out www.coachella.com for more information. Now, time to plan if I'm going or not.